Now, he’ll have the chance to talk to some of the nation’s leading health insurers about how to do that. Health insurers are meeting with the president on Monday, and Obamacare is expected to be at the top of the agenda. Among the attendees will be Humana(HUM) CEO Bruce Broussard, Blue Cross and Blue Shield of North Carolina’s CEO Brad Wilson andthe Blue Cross Blue Shield Association, an industry group that represents 36 independent insurers. The president and insurers will have a lot to discuss. Trump’s first executive order directed federal agencies to start rolling back Obamacare. And he has promised to unveil a plan to repeal and replace Obamacare with more affordable coverage, though he has left many in the dark about the details — including Congressional Republicans. 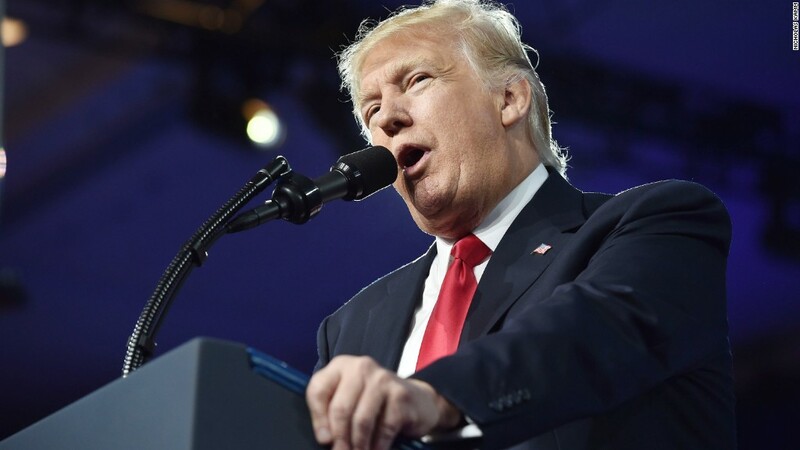 Trump has also vowed that the transition to the new Republican plan will be a smooth one that will not yank coverage from those who currently have it through Obamacare. He can only fulfill that pledge if the insurers play along. Insurers, however, have grown increasingly jittery amid Trump’s sweeping pronouncements and the infighting on Capitol Hill that has slowed the drive to repeal the law. Most recently, the nation’s governors have entered the fray, with some Republican state leaders lobbying hard to keep Medicaid expansion. They will meet with the president early Monday morning to press their case. Humana has already said it is dropping out of the individual market completely in 2018. At least three other carriers — Aetna(AET), Anthem(ANTX) and Molina Healthcare (MOH)— have said they are weighing whether to participate in the Obamacare exchanges next year. This could prompt even more insurers to withdraw and those that remain to hike premiums. They will likely look to Trump to ease their concerns. His administration so far has sent them mixed signals. His Health & Human Services Department has answered some of the industry’s concerns in a proposed rule it issued earlier this month. The rule would provide insurers with greater flexibility in how much their policies would pay in each tier of coverage on the Obamacare exchanges, make it harder for people to sign up outside of open enrollment periods and give carriers more time to have their 2018 plans approved by state and federal regulators. However, at the same time, the Internal Revenue Service quietly reversed a decision to start rejecting tax returns that fail to indicate whether filers had health insurance, received an exemption or paid the penalty for not having coverage. While this has always been key to enforcing Obamacare’s individual mandate, the IRS had been processing returns without this information. The IRS attributed the reversal to Trump’s executive order that directed agencies to reduce the potential financial burden on Americans. However, it noted in a statement that the individual mandate is still in effect. Any weakening of the individual mandate is sure to strike fear into the hearts of insurers. They depend on the mandate to bring in young and healthy participants to balance out older and sicker enrollees, which Obamacare requires them to cover. Insurers have a long list of suggestions for the Trump administration and lawmakers on how to first stabilize Obamacare and then revamp the individual market. They will have the opportunity to present them to the president firsthand on Monday.